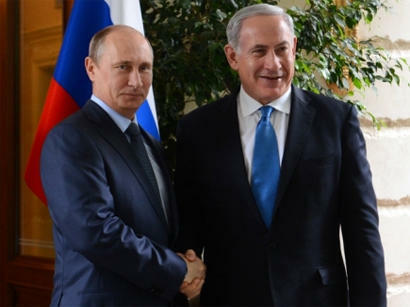 Russian President Vladimir Putin and Israeli Prime Minister Benjamin Netanyahu will hold a meeting on July 11 to discuss bilateral cooperation and global affairs, including the Israel-Palestine issue and the Syrian conflict, the Kremlin press service said in a statement, TASS reports. "On July 11, Russian President Vladimir Putin will hold a meeting with Israel’s Prime Minister Benjamin Netanyahu," the statement reads. "The parties are expected to discuss pressing cooperation issues and problems on the global agenda, including ways to resolve the Israel-Palestine issue and the Syrian conflict," the Kremlin press service added. The Israeli prime minister is also expected to attend the 2018 FIFA World Cup semi-final match between England and Croatia set to be held on July 11.